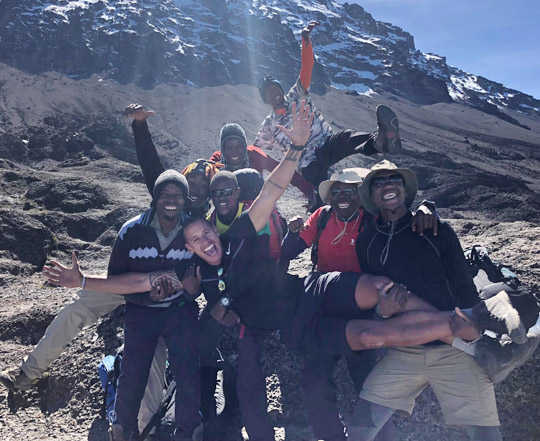 I’m always someone that likes to challenge myself and when an opportunity from Ultra Adventures came along to climb Kilimanjaro, I was instantly interested! Register today for your spot on the next trip to Mount Kilimanjaro! Being a former Royal Air Force Physical Training Instructor I’ve been physically and mentally pushed to my limits but this trip was something different. There were 15 of us who started, all complete strangers to me but by the end of the 7 days, from what we experienced, I now consider them much more than friends! The local support crew from Ashanti Tours were incredible and made the trip that extra bit special.